Damion Viney joined Crunchers in August 2011 after qualifying with the Association of Accounting Technicians. We developed a launch strategy and in the first 18 months Damion won 38 clients with a marketing budget of just £4,000. He is now established with an office and employees. His Customer Sure score is 93% and he is getting regular referrals. Most importantly he is confident that he is way ahead of the competition. Damion joined Crunchers iust as we decided to create the network of Alternative Accountants and develop the “Improving the Numbers” system. At the time of joining, he had no experience of running an accounting practice and only had a few months experience working for a firm of Chartered Accountants. We worked closely with Damion using everything we learned from running our own practice and by working with over 250 firms of accountants across the UK with our bookkeeping software. We started with a two day kick-start in Cornwall to explain the Crunchers positioning and brand strategy. We also created a detailed business plan with a sales forecast and key drivers. The marketing tactics enabled Damion to immediately create his own low-cost leads. Key marketing assets included monthly seminar packs, a local Website and an email marketing system. We also built a Search Engine Optimisation strategy which put Damion at number one for his key term and delivered sales training and weekly management calls. We supported Damion with sounding board calls on how to deal with challenging was trained how to transition the conversation into advisory services. Low and no cost marketing worked and sales targets have been hit whilst allowing Damion has been able to turn away the wrong clients. Damion has establish Crunchers in his local market and is building a reputation as offering something different, valuable and there is a steady flow of referrals. 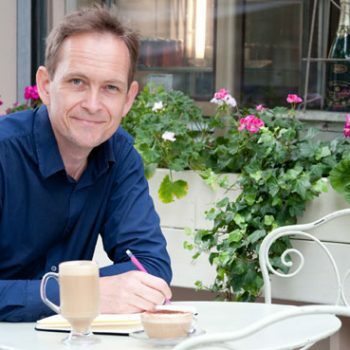 Damion’s successes include helping a client raise £80,000 from Peter Jones of Dragon’s Den and being the first accountant to be awarded the Fair Tax Mark. The value of the business created is a healthy Return on Investment, after taking account of all marketing and licence fees paid to Crunchers. Time is an asset which needs careful management. Business owners love the Improving the Numbers service. “The service from Crunchers has been completely invaluable to the development of our business. It has been fantastic talking through the whole process and helping us to see our business processes in a completely new – and much more productive – light. The tool that Crunchers set up for us is intuitive, effective and easy to use. We work with it all the time now to evaluate how the decisions we are making will impact on the business as a whole. It gives us huge peace of mind to be able to see things so clearly and objectively”. Damion plans to continue to win more and better clients by focussing more on business advisory services using the Improving the Numbers system. As his team grows he will be able to invest time growing the practice and doing more business advisory work. Damion is exploring plans to open other offices. “I cannot believe my luck in finding and joining Crunchers, I couldn’t have done it on my own. Starting out in practice would have been at least ten times more difficult, stressful and prone to failure without making this strategic partnership. I began hoping I would be satisfied with what was on offer…I find myself inspired, proud to be part of what I consider a ground-breaking initiative in accounting”.